As an activist pastor at Raleigh’s progressive Pullen Baptist Church, Nancy Petty is often making news. She is openly gay and has championed marriage equality and LGBT rights. She has led Moral Monday protests and chairs the Reverend William Barber’s Repairers of the Breach board. Most recently her work has focused on facilitating interfaith dialogue with Raleigh’s Muslim community and fighting Islamaphobia and racism. 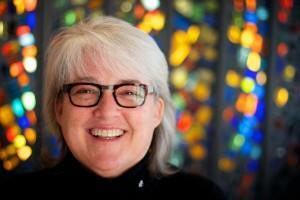 Her transformative journey from her small town upbringing in Shelby, North Carolina, paralleled major social shifts happening in the churches she has served. Host Frank Stasio speaks with Nancy Petty about that journey and how she learned to integrate her faith with her identity.​ She will be speaking at a forum on Islamaphobia and Racism on October 6th at the McKimmon Center at N.C. State University.